Megastar Amitabh Bachchan is once again sharing screen space with his ‘Pink’ co-star actress Taapsee Pannu in upcoming Sujoy Ghosh directorial ‘Badla’. Big B had shared his look from the film on social media last year. He was seen flaunting a suited look with a white beard. 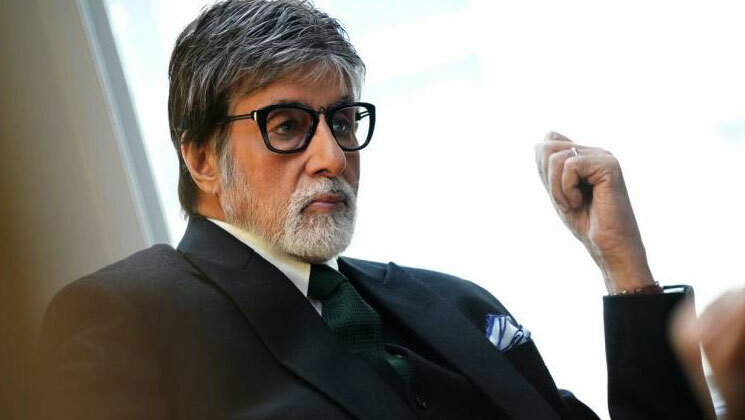 The project is the fourth collaboration between Big B and Ghosh. The two have previously worked in films like ‘TE3N’, ‘kahaani‘ and ‘Aladin’. In the picture shared by Sujoy Ghosh, we can see Amitabh Bachchan dressed in a black suit and carrying a bag in his hand with his back to the camera walking across a bridge. ‘Badla’ is a remake of a Spanish film ‘Contratiempo’ and is being produced by Red Chillies Entertainment in association with Azure Entertainment. The principal photography of the film began in June last year in Glasgow, Scotland and the movie is set to be released on March 8, 2019. On the work front, Amitabh Bachchan also has Ayan Mukerji’s ‘Brahmastra’ in his kitty. The movie also features Ranbir Kapoor, Akkineni Nagarjuna, Alia Bhatt, Dimple Kapadia, Divyendu Sharma and Mouni Roy. The tentative release date for the movie is December 25, 2019. Also Read: Amitabh Bachchan and Taapsee Pannu’s ‘Badla’ gets a release date!